Dandy exists to improve patient outcomes in neurological surgery by enhancing neurosurgical education, training curriculum, and certification mechanism for neurosurgeons worldwide. Vision: To be the premier neurosurgical society representing all neurosurgeons from across the globe, working collaboratively to enhance the field of neurosurgery and achieve better patient outcomes. 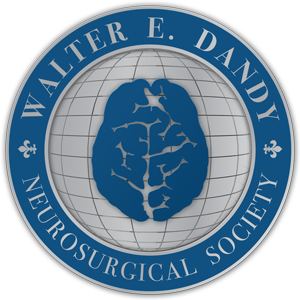 The Walter E. Dandy Neurosurgical Society was founded on November 19, 2011 in St. Louis, Missouri. The inaugural event was attended by members of the Board of Directors of the Society, Professor Dandy's daughter, and a large number of invited guests. The Governor of the state of Missouri, Jeremiah Nixon, issued a special proclamation on that day recognizing the founding of the society in the state of Missouri. As this society has become the sole global representative for "operative neurosurgery," the decision was made to name the Society after one of the premier fathers of operative neurosurgery, Walter E. Dandy. The Society was founded in the state of Missouri, where Professor Dandy was born, raised, completed his undergraduate degree, and began medical school. Professor Dandy completed medical school at Johns Hopkins University School of Medicine. The society would like to recognize the Johns Hopkins University School of Medicine where Professor Dandy spent his entire career and made his many contributions to medicine.